MP Landscape and Outdoor Management, Inc. The legacy of Hobert Pools & Spas began in 1975 when Hobert Murphree founded the company. Hobert has worked in every facet of pool construction since the age of 18 and with that experience and knowledge he built Hobert Pools from the ground up, emphasizing ethics and customer service coupled with a solid construction foundation. Hobert Pools has become one of Dallas’ largest swimming pools builders helping more than 12,000 families enjoy the pleasure and fun of swimming pool ownership. Throughout the years, Hobert Pools has grown by offering expert design solutions and innovative construction techniques while striving to provide outstanding customer service. Being a full-service company that offers new construction, service, maintenance, remodeling, and landscaping, Hobert builds relationships with its customers for life. Hobert has three design locations in Frisco, Murphy, and Rockwall to better serve new residential swimming pool buyers in the surrounding areas. Hobert Pools’ service department offers experienced technicians that can diagnose and correct all of your swimming pool service and repair needs, as well as help maintain your pool on a weekly basis to keep it pristine and swim-ready year-round. If you wish to have grass that lasts in your home or commercial space, get in touch with Synthetic GreenScapes. As one of the leading companies that provide high-quality artificial grass in Richardson, Midland, and the surrounding areas, Synthetic GreenScapes is the premier choice for any o of your lawn or surface projects. The company offers a wide range of turf products including landscape grass, putting greens, sports turf, pet turf, playground and recreational turf as well as artificial grass for the pool and patio area. With over 30 years of combined turf experience, their team is highly trained in innovative installation techniques in-house and the use of modern technology. The team is also a proud member of the Dallas Builders Association, National Association of Home Builders, and the Texas Association of Builders. Call now to schedule a free consultation and estimate. Synthetic GreenScapes ensures 100% customer satisfaction by providing each customer with their own turf consultant, project manager, operations manager, an on-site leader as well as a qualified team of turf experts. 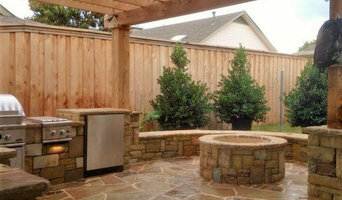 Red Sun Landscapes is a design and build company located in East Dallas, close to White Rock Lake. We design and install landscapes and hard-scapes that are beautiful, functional, and affordable. Red Sun Landscapes is an independently owned company in the East Dallas / White Rock Lake area. We are owned and operated by local residents who have over 35 years of experience designing, building, and maintaining beautiful landscapes. We provide our services for small and large scale projects utilizing both contemporary and classic designs with a personal touch. We recognize that times are changing. There are now water restrictions for most home owners in the North Central Texas area. Some of us lost trees, shrubs, and turf grass during recent droughts. While we still want to have an attractive home that makes us feel good at the end of a day, we must be prudent . Red Sun Landscapes can design and install plantings that are either native or are naturalized to the Dallas area. Drought tolerant doesn't have to mean only cactus and tumble weeds. Let us come show you the great diversity of landscape practices and plantings available in this area. The work of this outdoor professional includes most everything surrounding a home's exterior. A landscaping architect can even work with the home architect to choose the right spot for your Sachse, TX house. From there the Sachse landscaper will develop preliminary concepts for your front or backyard design based on individual needs including the climate and activities that will take place, as well as layouts and planting plans. Landscape architects will also design any structures or outbuildings that will be added to the space. Any grading changes that will be added to the yard are also the responsibility of the architect. This includes any drainage modifications. An engineer can also be responsible for these tasks, but licensed Texas landscapers are fully capable. Like building architects, they will produce preliminary concept drawings as well as detailed construction documents and planting plans. Three-dimensional renderings and illustrative plans are all supplementary. 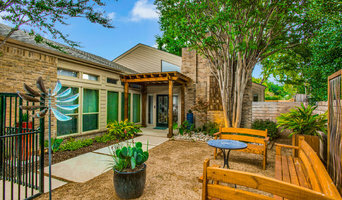 A Sachse landscaping designer generally will have ecological, aesthetic and technical training, which helps them maximize the potential of your outdoor space. Keeping in mind both style and functionality, garden designers analyze your architecture and yard to produce a plan that may or may not include location and materials for walkways, patios, water features, fences, garden aspects and more. In addition, a landscaper in Sachse, TX will carefully assess your geographic region to choose plants, trees and flowers that will flourish naturally, as well as address concerns such as drainage, screening and soil conditions. Certain landscape designers only help with the planning portion, while some may deliver the plans and then oversee a hired landscaping contractor. Others — typically following a design-build approach — take care of both the design and all aspects of the landscape architecture and construction. Find a Sachse landscape architect on Houzz. Narrow your search in the Professionals section of the website to Sachse, TX landscape architects and designers. You can also look through Sachse, TX photos to find a space you like, then contact the professional who posted the photo.